Our Story | Kelly International Security Service, Inc.
After retiring from the United States Navy, entrepreneur John J. Kelly went on to numerous businesses. 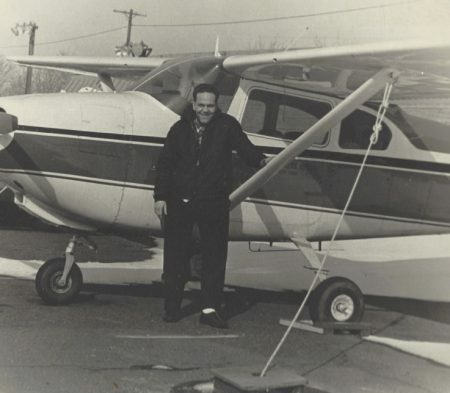 While president and chief executive officer of Zimmer Welding Supplies and Service in Brooklyn, New York, he became a private pilot, designed a one-man, personal submarine and formed other corporations, one of which was Carrier Air Park, Inc. In 1974, John J. Kelly played a critical role in the transfer of ownership of the USS Essex and the USS Randolph, two decommissioned World War II aircraft carriers, from the United States Navy to the City of New York. 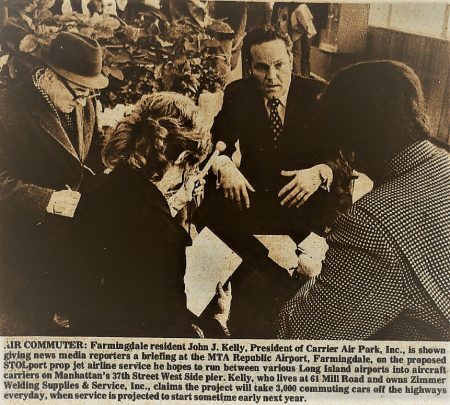 His plan was to dramatically change the lives of Long Islanders commuting to Manhattan by developing the first and only Short Takeoff and Landing (STOL) airport in Manhattan – an affordable, one-way trip from Republic Airport in Farmingdale, New York to lower Manhattan that took approximately 15 minutes. It was during this time that he agreed to allow Michael D. Piccola to utilize the Gallery Deck of the USS Randolph as an aviation museum. 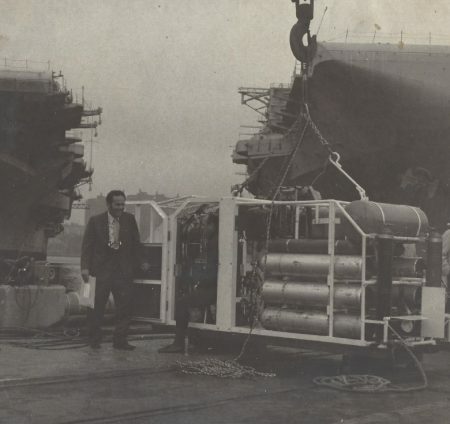 Although his initial plan never materialized, Kelly was instrumental in the initial phases of the project that allowed Piccola to bring the Intrepid Sea, Air & Space Museum, now a national historic landmark, to Manhattan’s west side. Shortly after, in 1975, Kelly launched another company, Polygraph Security, which primarily provided surveillance and security guard services. 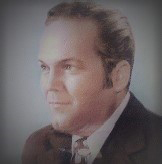 In 1981, Polygraph Security became Kelly International Security Service and John J. Kelly developed The BRAIN, a proprietary access control system that was the corporation’s cornerstone. Kelly International Security Service was one of a small group of companies in North America to first successfully implement an online, PC-based access control system. We began offering access control and CCTV security solutions to large commercial customers in the United States, Canada, and Europe. Some of the first entities to utilize our technology were the United States Embassy in the United Kingdom, Trans World Airlines (TWA), and Montreal General Hospital, one of the top health care providers in Canada. We tragically lost John J. Kelly in 1994. Today, over 40 years after the inception of our company, we maintain the tenets that our visionary founder held closely. As our mission and core values convey, we pride ourselves on quality in both products offered and service provided. It is because of these values that Kelly International Security Service remains a customer-centric, industry expert serving various sectors of the business community in and beyond the Tri-State area. Kelly International Security Service remains a family-owned and family-run corporation served by three generations. This allows us to draw upon valuable human capital and enables us to be flexible and adapt quickly to our customers’ needs and rapidly evolving industry trends.